I'd been meaning to go back to VLV for lunch so I was glad when Viv organized a Sunday brunch last weekend. 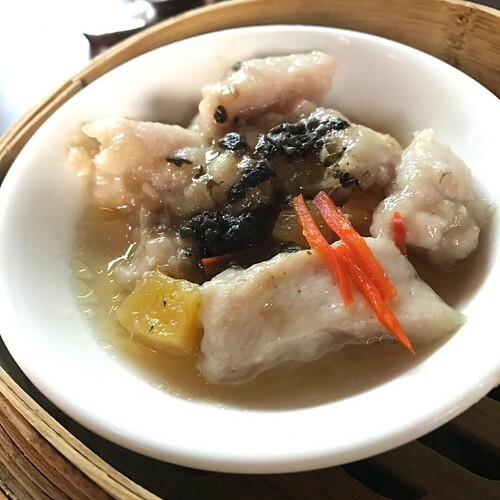 I had intended to include the Dim Sum brunch buffet in my previous blog post but it was getting too long so here's the second part of my review. 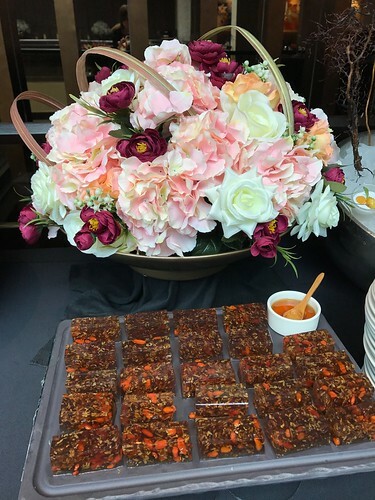 The Dim Sum Brunch Buffet features "live" stations, a wide variety of dim sum and a selection of a la carte signature dishes that are prepped to order. If you can't make it down on weekends, VLV serves a la carte dim sum items during lunch on weekdays. I ordered a Garoupa Fillet Congee (available during weekday lunch at $8.80) with Century Egg for a start from the "live" station. 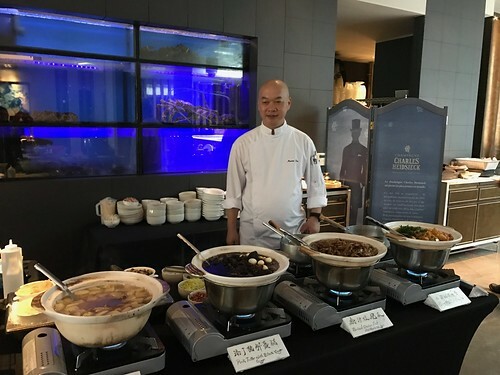 Each bowl is carefully cooked by Chef Martin. I enjoyed my bowl of congee as it was tasty with a creamy texture and the garoupa fillets were tender. 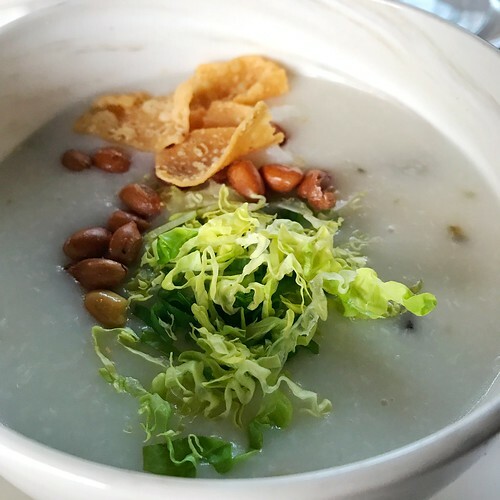 The congee can be addictive so it's best to order to share to avoid getting too full from devouring an entire bowl. A Must-Try! I was a little skeptical about the Curry Fish Ball. However, the aroma was too alluring and since fish balls are one of my favourite comfort foods, so I had to try some. The fish balls were tasty and the curry was so rich, I wish I had some rice noodles to go with it but no, I need to retain some appetite for more food. 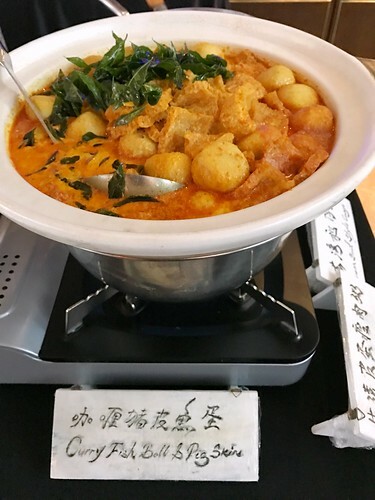 If you love curry and fishballs or even pig skin, this is worth a try. The servers will come around to take orders for regular dim sum favourites such as Prawn Dumpling 'Ha Gao'. Some items are given a twist such as Kurobuta 'Siew Mai', and Steamed Spare Ribs with Olive Leaf & Pumpkin. I loved the spare ribs as they were tender and flavourful with just the right amount of fat. There were so many of us, our dim sum platters were plus-sized! 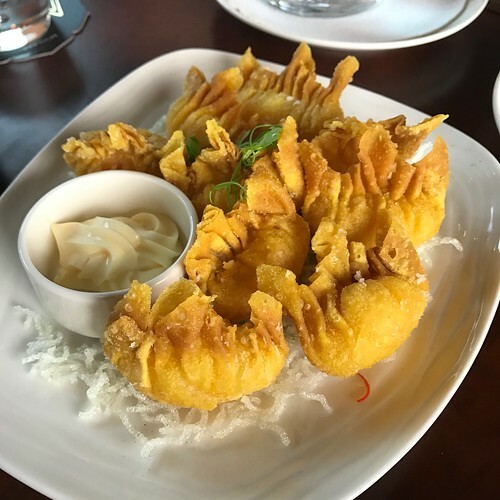 The prawn dumplings were delicious and went well with the Kewpie mayonnaise but if you have a small appetite, opt for the Kurobuta 'Siew Mai', Steamed Kurobuta Pork Bun and Deep-fried Prawn Beancurd Skin Roll instead. I preferred this dish to the prawn dumplings as I prefer the flavour of fried beancurd skin to wanton skin. The golden brown crust was crisp and not greasy. I think this is worth devoting a cheat day to. 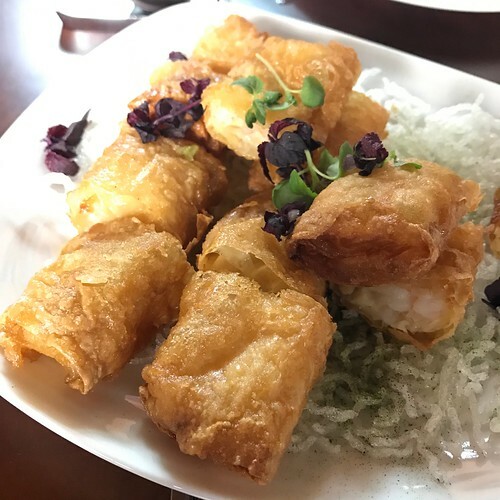 This was a little a underwhelming for me as I prefer to have these little rice rolls fried with XO sauce or wrapped around seafood and especially with dough fritters. 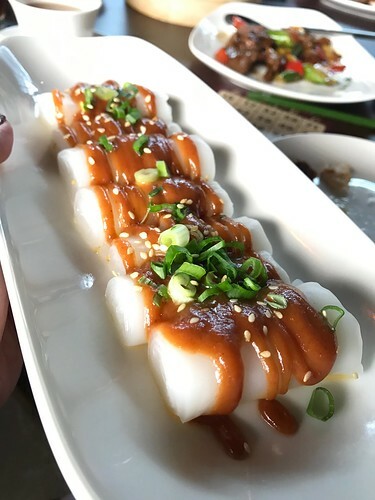 How do you like your Cheong Fun? I love Cantonese-style soup, so I picked this out of the three choices offered on the menu. 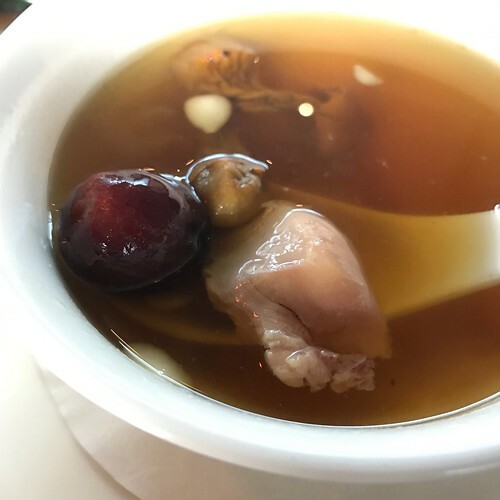 Made with antibiotic-free Sakura chicken, red dates, sweet almonds, snow lotus seed and agaricus mushrooms, the broth was flavourful yet clean-tasting. I expected the dish to be slightly watered down since it was part of the buffet, albeit restricted to just one bowl per diner. However, this was the real McCoy and definitely a Must-Try unless you're averse to herbal soups. Diners are offered a choice of 4 out of 10 dishes from the a la carte menu featuring the signatures at VLV. 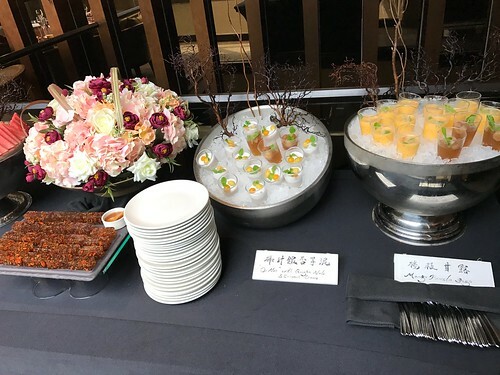 As each table can only place one order during the brunch session, I would suggest waiting for everyone in your party to arrive before ordering. The portion size will be adjusted according to the size of your party. 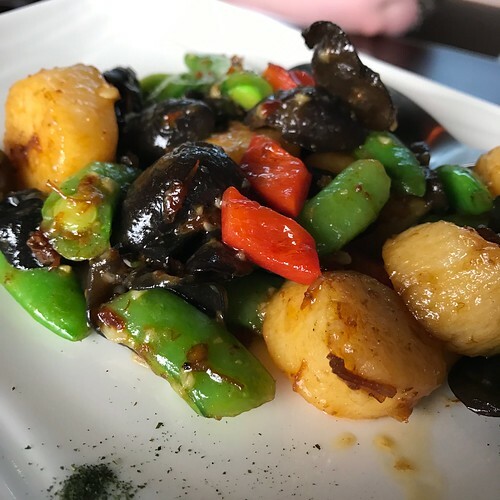 One of the dishes that we picked was the Sautéed Japanese Scallops with Honey Peas in XO Sauce. The scallop was juicy with a lovely caramelized and umami flavour. A Must-Try! 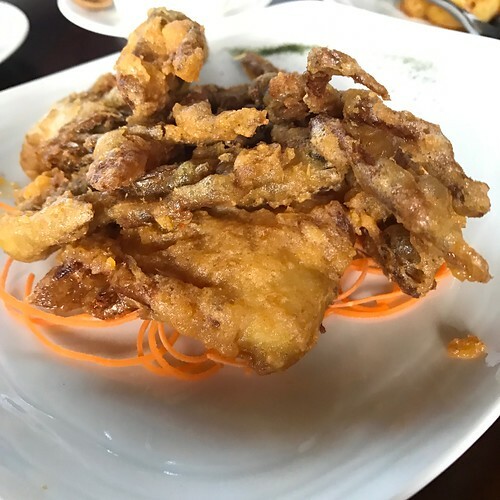 Since we were occupying a long table, the restaurant staff took the liberty of dividing our a la carte dishes into smaller portions to make it easier for sharing. 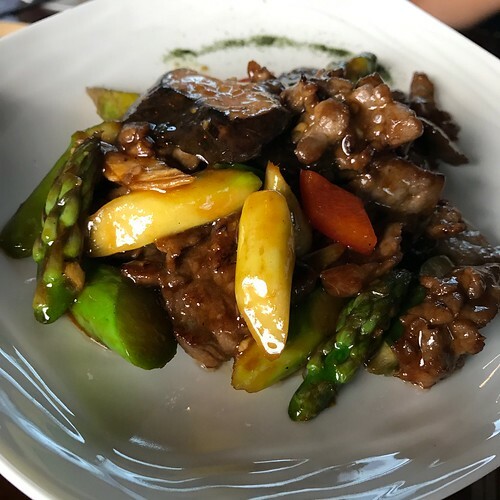 I don't usually like beef with oyster sauce but this was delicious and I loved the chunks of asparagus and mushroom. This is for all crustacean and salted egg yolk fans! This crisp and savoury crust wasn't too greasy and the crab was juicy. In spite of the appearance of this dish, it's a Must-Try! 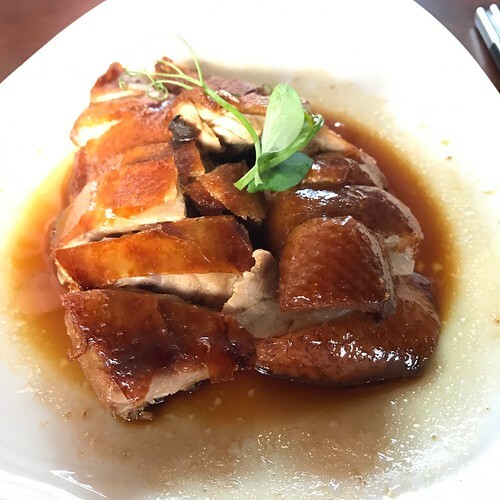 The Canton Roasted Duck was delicious and comparable with several other famous roast duck joints in town. This is worth a try! By the way, the Crackling Pork Belly that I talked about in my previous post is also available on the Chef's Recommendation menu. I made a beeline for the Osmanthus Jelly and "Orh Nee" with gingko nuts and coconut cream. I like the "Orh Nee" but thought it tasted better as an a la carte dessert from the restaurant's menu. This is the best Osmanthus Jelly that I've had in years and I couldn't help going back for more! The osmanthus jelly wasn't too sweet or too hard. I loved the wobbly texture and how it seemed to melt in my mouth. There was something rather different about the jelly as it had a richer and more well-rounded flavour - almost like the rich flavour imparted by flambéed alcohol to desserts like Crêpe Suzette. I had to quiz Chef Martin as I was leaving. He revealed that he had added roselle flowers to the Osmanthus Jelly. I hope they add this to the a la carte menu at some point. Meanwhile, it's definitely a Must-Try if you're lucky enough to catch it on rotation on the buffet line. There are 2 seatings for the weekend brunch buffet and various price tiers as detailed below. I opted for the alcohol-free alternative at $68++ as I hardly drink these days.